The Stylidiaceae family of Western Australia contains over 200 Stylidium species, with new ones being added constantly. 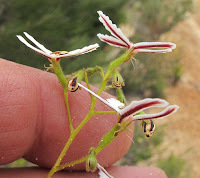 They have a unique mechanism to ensure their pollen is transferred to a pollinating insect to be carried to other flowers and enable pollination. 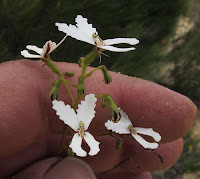 This is possible by having the anthers and stigma positioned at the top of a modified style, this when triggered, swings rapidly in an arc to deposit/receive pollen on the back of a visiting insect. 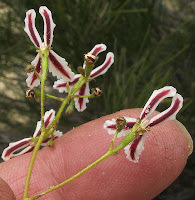 Stylidium spinulosum has 2 subspecies, with this subsp. 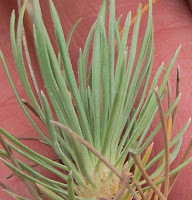 spinulosum being the most common. The other subsp. 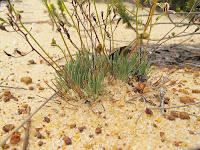 montanum is restricted to montane regions of the Stirling Range (near Albany), it is overall a smaller plant with pink flowers. The above species subsp. spinulosum, ranges mostly from the Albany region to Ravensthorpe. However, those shown above were encountered just south of Lake Tay (145 km or 90 miles NW of Esperance) and represent a small range extension into the Esperance region. 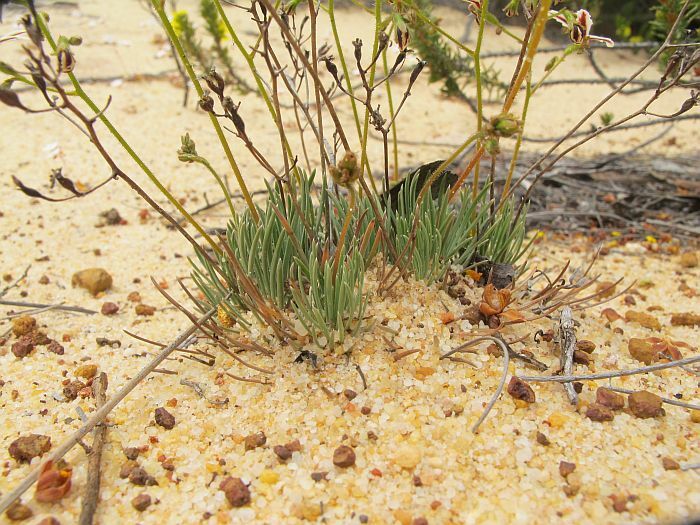 Several plants were growing on a (coarse sand) sandy bank. 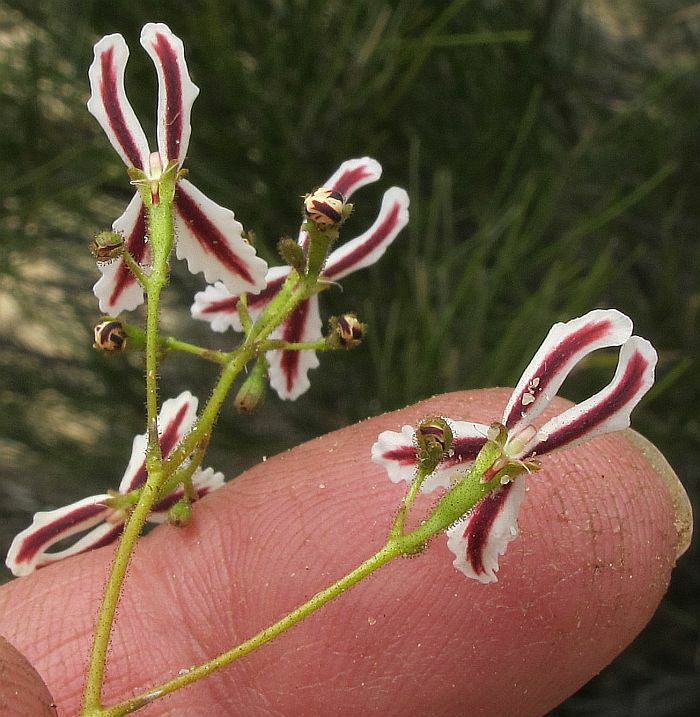 The common name of Topsy-turvy Triggerplant, refers to the upside down and back-to-front appearance of the flowers. 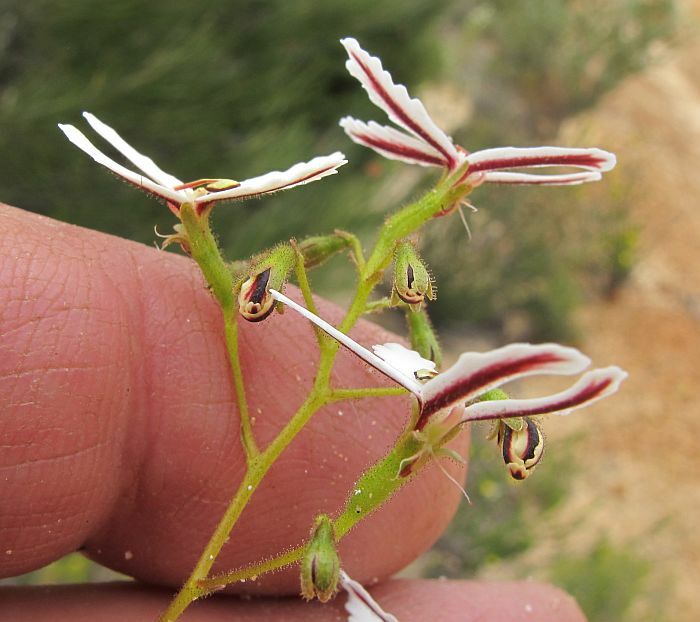 The trigger with this species is poised below the flower and flat along the stem, so from the rear with a set trigger, the now colourful petals also appear upside down and combine to produce a topsy-turvy display. 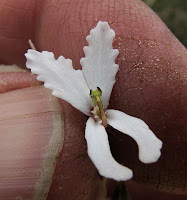 The flowers are around 2 cm (3/4”) in length and bloom during October/November. 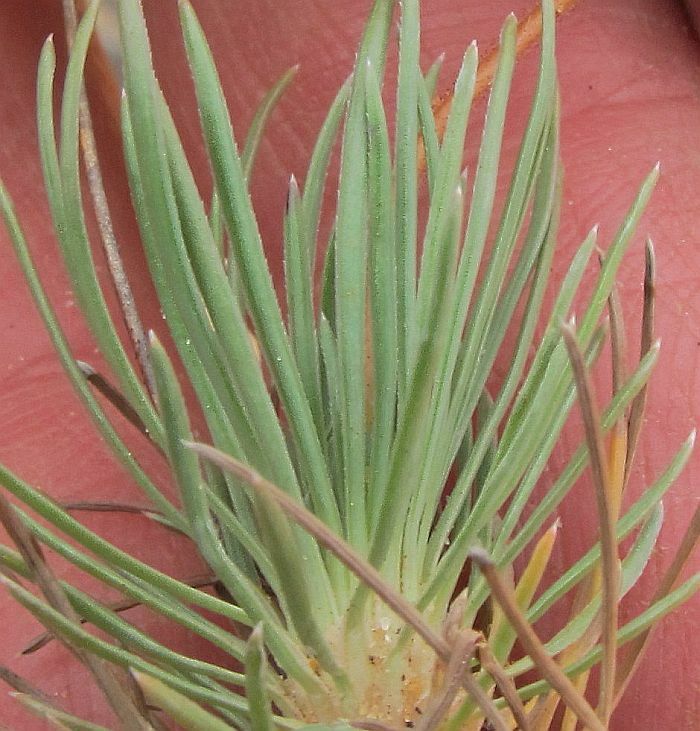 Another feature is the basal leaves, which have small teeth along most of their length.